Surprise, Surprise: Zalora PH has Something for Everyone! Weekends are something to look forward to at the end of a long tiring day at school or at work. Most people take advantage of weekends by shopping at malls or spending time with their family and friends. However, if you’re the type who doesn’t care for crowded malls and long lines at the checkout, you can still shop to your heart’s content by checking at Zalora PH’s weekend surprise page. Here, you can find thousands of items which are being offered at rock-bottom prices. 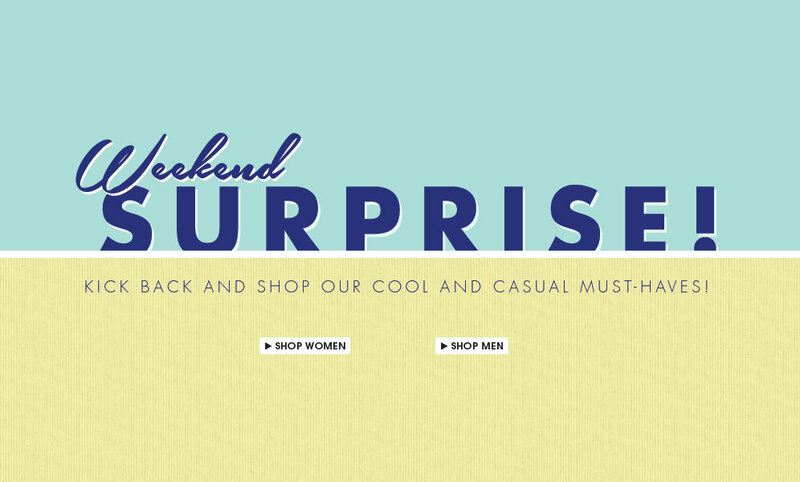 The weekend surprise page is teeming with offers and incredible deals that are only available for a limited time. As the name implies, you can only purchase the items during the weekend; the sale items are taken offline on Sunday night and will not be viewable the day after. A new set of items is uploaded on Friday, when the new surprise sale starts. The great thing about the weekend surprise page is that you never know which items will be placed on sale. It could be that uber cool bag or pair of shoes that you have been eyeing. All of a sudden it will be sold at as much as 70 percent off the regular price. Now ain’t that a steal? The Weekend Surprise page is unique to Zalora PH. As the leading online shopping portal in the Philippines, Zalora wants to offer its clients something to look forward to every weekend. On any given day, one can find thousand of items at incredible discounts. Both men and women can enjoy the convenience of online shopping at Zalora PH, week in and week out. Spend your weekends in comfort and keep everyone wondering where you find the time to shop!